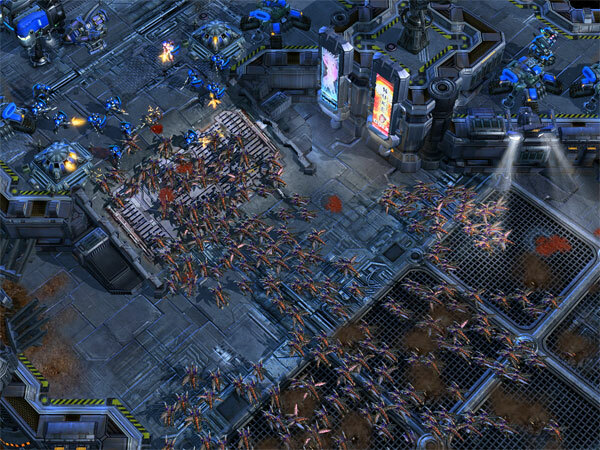 A Zergling rush is the tactic of attacking an opponent with 6 or more Zergling units as early as permissible. 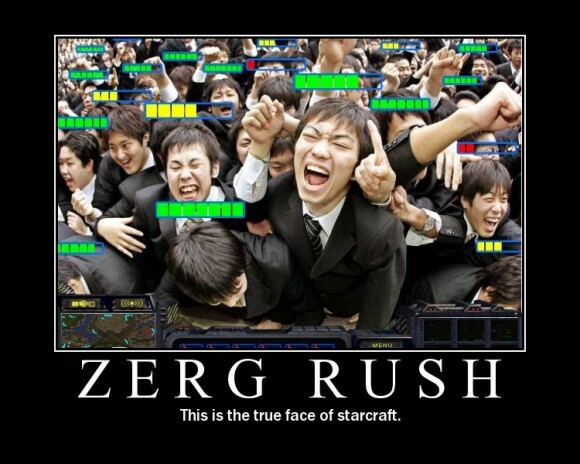 This refers specifically to the strategy where a Zerg player creates a Spawning Pool very early in the game, sacrificing his or her economy to enable creation of Zerglings. Within StarCraft, the strategy is further classified by how early the player attempts to sacrifice economy to execute the rush, for example the four pool rush is the earliest possible Zergling rush. It is called the “four pool rush” (often shortened to 4pool) because the player immediately gathers resources (each player starts out with four worker units) and does not build more workers until the player has enough resources to build a Spawning Pool. If you’re wondering about the terms used in that quote, you probably need to PLAY StarCraft sometime soon =). StarCraft II Closed Beta Begins!